Mental Health, Mental Illness, Speak Out! 3 Reasons the world should NOT be your therapist! What do YOU say about Mental Illness? Depression. Bipolar Disorder. PTSD. Schizophrenia. What do YOU think of when you hear any of these illnesses? Do you remember the first time you heard someone speak about mental illness? 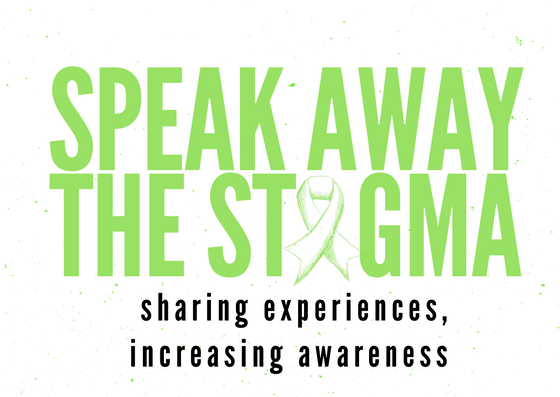 Has the way you have heard others speak about mental illness impacted your perspective? SPEAK OUT: Christina shares her story about Depression. This is a conversation I had with myself a few years ago. Yeah, this was one of those conversations you have in your head, but some of questions you answer out loud. For months I knew something wasn’t right because I’d been feeling down. I’d have periods that I felt OK, but my overall mood for months was sad. Outside of being sad, I just wasn’t feeling like myself. I was irritable, and always tired (more than usual). I would either overeat, or not eat at all and I had difficulty focusing on my job. For months I felt like I couldn’t get a grip on my life and I began to feel the affects. I gained weight, I quit pursuing my Master’s degree, lost my desire to go out with friends and I eventually got fired for my low performance. Mental health, self-care, and therapy are words that we are seeing almost daily. From the news to social media, the conversation about mental health is increasing, but is it decreasing the stigma? Are we more educated on mental health and mental illness than ever before? The current conversation mental health proves that there is still a lot of work to do. On February 14, 2018 a former student entered Marjory Stoneman Douglas High School and when he left, 33 people had been shot. On February 15, 2018 news stories began telling the story of the accused gunman and words like “troubled” and “depressed” were used. Those words gave way for many people to blame “mental health issues” for this terrible crime. The accused gunman had never been diagnosed with a mental illness, yet many Americans believe that our mental health system failed the students of Marjory Stoneman Douglas High that fateful day. For those that love someone with a serious mental illness….. If you love someone that has a serious mental illness I don’t know if anything will fully prepare you for the roller-coaster ride that comes along with loving someone with a serious mental illness. There will be high and lows, good days and bad days. There will be feelings of guilt, anger, helplessness, and sadness. You will begin to enjoy the “simple” moments that you previously took for granted. You patience will be tested and used up, but you will find more. You may say some hurtful things, hurtful things will be said to you-you will forgive and be forgiven. You will learn about boundaries, but you won’t use them as you should in the beginning. You will become OK with saying “no”, although you will likely feel guilty, say “no” anyway. Mental Health, Speak Out!, Uncategorized, What's S.A.T.S Up To? Mental Health, What's S.A.T.S Up To?